Musician Beck made an impact with two turntables and a microphone, but here in Toronto a small group of bike lovers have helped make an impact in the lives of new Canadians using two wheels and a camera phone. 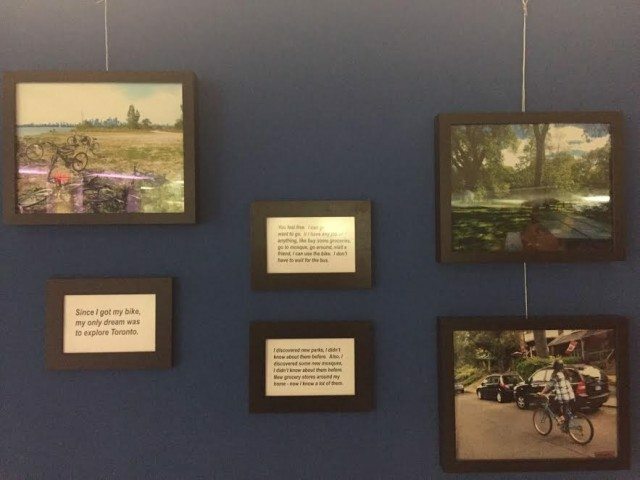 The exhibit features photos from people who are new to Canada and a part of CultureLink’s 2016 Bike Host program in partnership with the Toronto Centre for Active Transportation (TCAT). The participants took pictures while riding bikes given to them by Scarborough Cycles around Toronto. The program loaned out bicycles to newcomers for the summer. 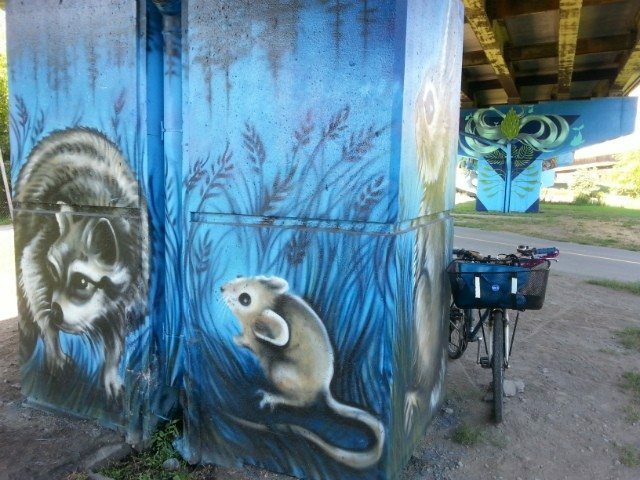 Participants were set up with a mentor cyclist to show them around the city and get them comfortable with riding in Toronto’s crowded streets and beautiful ravines. The photography aspect of the program was created by Ryerson masters student Yvonne Verlinden, and is part of her urban planning research. She came up with the idea as she was cycling: Verlinden is a proud cyclist who is constantly visiting and photographing new places and she wanted others to share in this experience. Throughout the mentor program Verlinden noticed that the people riding had a great appreciation for independent mobility. “That power of being able to travel when you wanted to and go where you wanted to go was very special,” said Verlinden. Momtaz Begum, who immigrated to Canada from Bangladesh, spoke at the event and said he had a great time participating in the program. “Whenever I wanted, I could get my bike and ride around. I explored a lot this summer,” said Begum. Begum got to explore and learn more about the city not only by herself but with her family. She adds that now, when she looks at a photo she took during the summer, it triggers a great memory for her from that joyful time. Joybrata Mondl, also from Bangladesh, enjoyed the photography aspect as well. “It’s nice being able to put things on Facebook and social media,” he said. 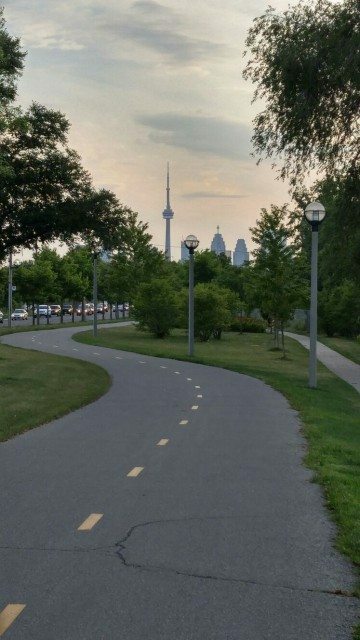 Verlinden said that mentors were encouraged to take participants on rides that were more scenic in order for them to get “good” photos of Toronto. Through Verlinden’s research she noticed by the end of the program that people were taking nine more trips a week than what’s typical of most people who ride bikes. It allowed people more freedom of mobility, which is important since the majority of them did not have cars. Instead of taking public transit, which is somewhat costly and has a set route, or walking, which takes time, newcomers could bike. 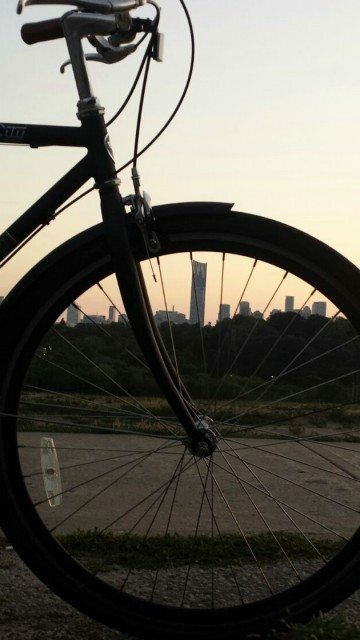 Biking in the city is fast and free. During the program, it was observed that people were using their bikes to get to work and get groceries, as expected, but they also used their bikes on their own time to explore the city as much as they could. For Mondl the program was a way to socialize since you don’t know many people when you move to a new country. Luckily, with the program he got to meet people who he can now call friends. Not only did the newcomers learn more about the city but they also learned more about the culture of Toronto. “When you go around you will definitely see people and you will learn the different cultural pieces around the city,” said Begum. Bikes and Belonging photo exhibit features photos from 12 new Canadians and will continue until February 3 at city hall.